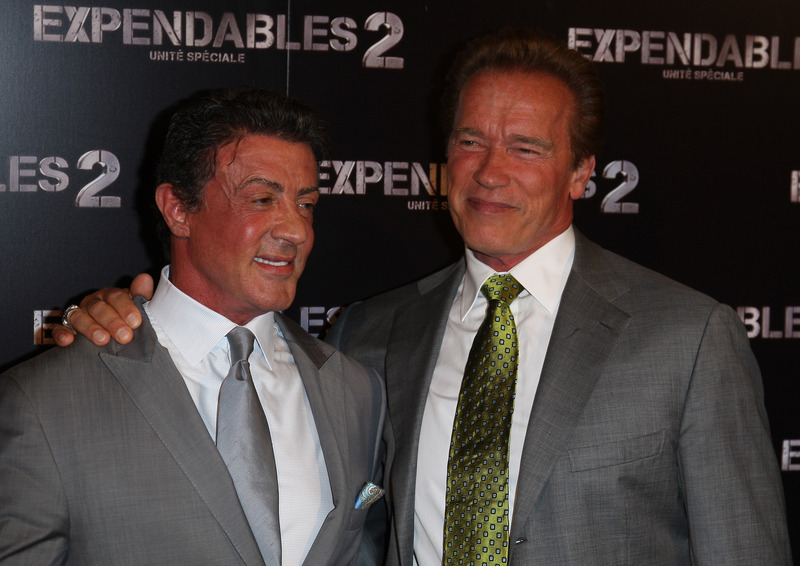 Arnold Schwarzenegger just dropped by to visit Sylvester Stallone at his home on Christmas day. I can’t imagine living that life…being the most iconic name in the history of cinema, and then the second most iconic name just drops in for festive greetings. 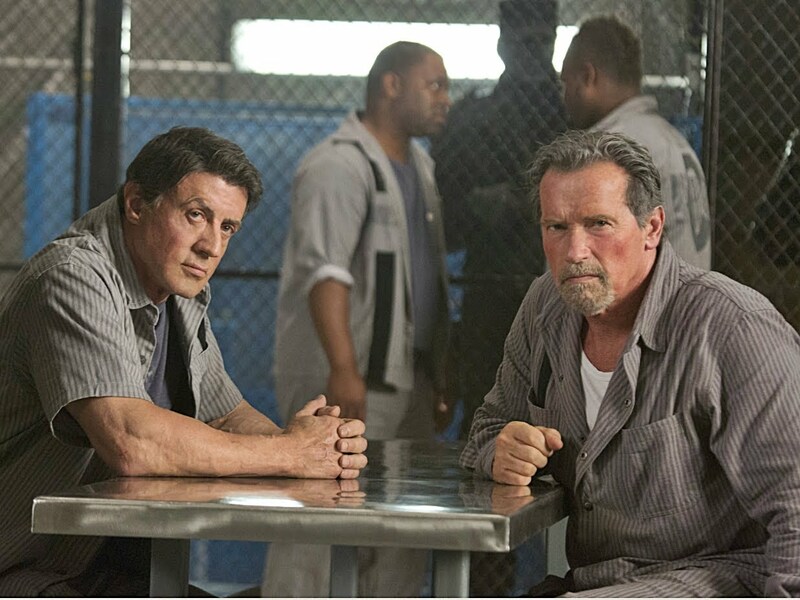 Stallone uploaded a photo of him with the 70-year-old Terminator star, saying he ‘always fills a room with positive energy’. 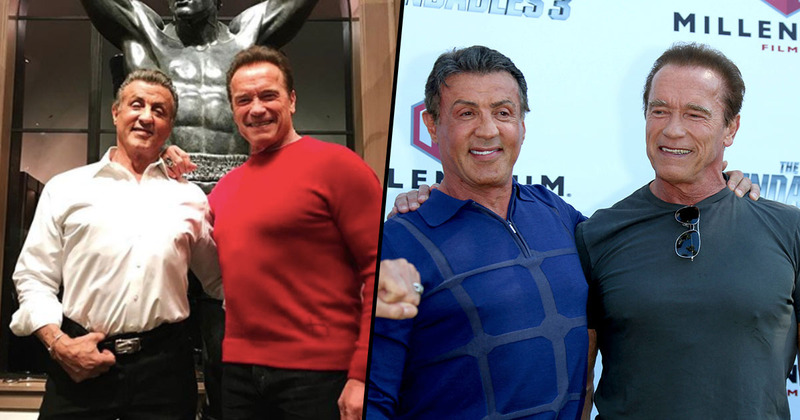 The iconic photo was taken in from of Sly’s famous Rocky statue with Stalone in a classic white shirt and black pants, and Schwarzenegger going a bit more festive in red. Stallone, who is currently working on the sequels to Creed and Escape Plan, also shared a festive photo in front of his Christmas tree in their home with his wife Jennifer Flavin and daughters Sophia, Sistine and Scarlet. The two movie stars could be seen as foes turned to friends after their fierce rivalry in the 80s and 90s. I’m so glad we straightened out our mess because it wasn’t pretty. We were attacking each other in the press relentlessly. We called each other names and called out our weak points, and it was so competitive. He had to use bigger weapons, so then it was a competition of who had the biggest gun, and then who uses the biggest knife. Do you remember the Rambo knife became so big it was like a sword? No one has a knife like that! But Stallone had one built, so I had to come in with a bigger one – this is how it went. 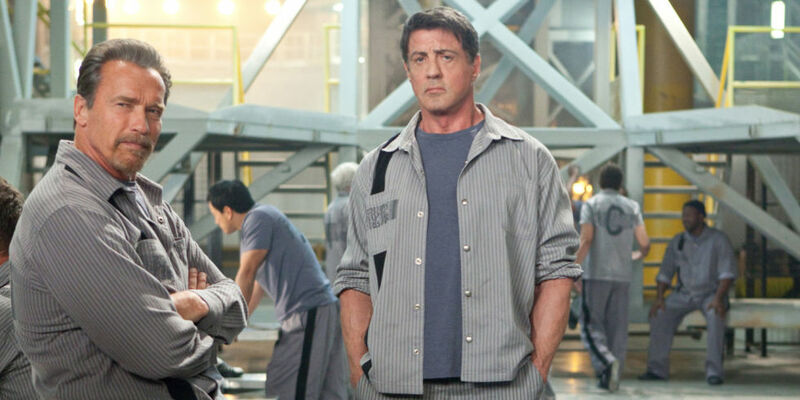 The two actors shared a screen in the 2013 film Escape Plan where they both played strong businessmen and fellow inmates. This isn’t the first cute photo of the two Hollywood strongmen. In 2012, the pair shared an iconic photo of them in neighbouring hospital beds in LA hospital. They were both waiting to receive treatment for injuries sustained from movie stunts. After all the action, stunts and physical abuse shooting The Expendables 2 and The Last Stand, it was time for a little tune up on my shoulder. Look who was coincidentally waiting in line behind me for his shoulder surgery. Now we’re ready for another round of great times and action when we shoot The Tomb. Great to see them as best buds.